Bottom Line: Jesus is our only hope of surviving and thriving in this world. Items needed: 1 2×4 wooden plank, two pool noodles of different color. Two Blindfolds. Directions: Ask for two volunteers. Blindfold players and give them a pool noodle. They have 60 seconds to “use the force” to swing their noodle and hit the other player. Volunteers keep track of how many hits are landed for each player. At the end of 60 seconds, the player with the most hits is the winner. If one player is knocked off of the plank, they automatically lose. Note: Be sure to lay the wooden plank on the ground rather than propping it up in the air. You don’t want anyone getting hurt. Transition – Use the game as a transition into talking about the Star Wars movie (which will lead into the topic of hope). A few months ago the first of the third Star Wars trilogy was released: Star Wars – The Force Awakens. Who saw it and liked it? Well, it’s the first of three more to come. This story takes place after the fall of Anakin Skywalker, the rise of Darth Vader and the conquering Empire. It follows a young boy and a young girl who are separated by galaxies but connected by bloodline and destiny. One of the most famous lines of the movie is spoken by Princess Leia as she is trying to get a message out for help. Before we unpack that idea, we need to focus on what happened in between Episode III and Episode IV. Everything that has happened in between episode III and episode IV can be summed up in those two words. The empire’s reach knows no limitations. The universe is in turmoil and disarray. Kind of like all of us. Just turn on the news and you’ll see how our world is a mess. Terrorism, murder, lying, cheating, etc. It’s not only the world around us, but it’s you and I too. We’re not terrorists or murderers, but in our own way we’re all messed up. None of us are perfect, we all have our weaknesses. We all struggle with sin. It looks different for us all. You might struggle with lust, pride, anger, or greed. Those are just a few of the countless ways sin shows it’s ugly head in our lives. Sin is the underlying problem all of humanity faces. It’s what brings chaos to the world around us. When we watch the news, it’s easy to feel hopeless. When we look at the crazy things that happen in our own schools, it can seem pretty hopeless too. There is one problem with this idea. The Bible tells us differently. 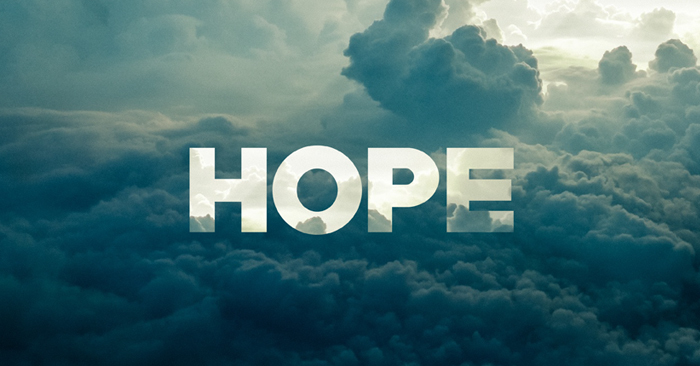 God brings us real hope. Hope we can count on. In fact, Jesus came to earth to bring us hope. God saw that the world was a mess. It was chaos. We were separated from God because of our sins. Because of Jesus’ death and resurrection, we can be right with God. The more people who turn their eyes and hearts to Jesus, the better the world will be. Your hope for a better life is in Jesus. When you turn to Jesus, he makes you right with God. He transforms you to become more like Him. He shows up in the midst of your problems and difficulties. He brings peace in the middle of chaos. He gives you the power to overcome your weaknesses. He gives you purpose in life. A reason for existing here on earth. He enables you to make a difference in the lives of other people. Luke and Leia eventually discovered they had a purpose – to bring hope to a hopeless situation. With God’s power, you can too. What situations in the world do you think are hopeless? Explain. Have you ever been in a situation that seemed like it was hopeless? Explain. What’s difficult about placing your hope in Jesus? Talk about a time when God showed up and did something amazing in your life? Ask students for prayer requests, especially those who currently face a difficult or hopeless situation. Have students pray for each other. Love the story line. Good stuff! And, yes JESUS IS OUR ONLY HOPE!